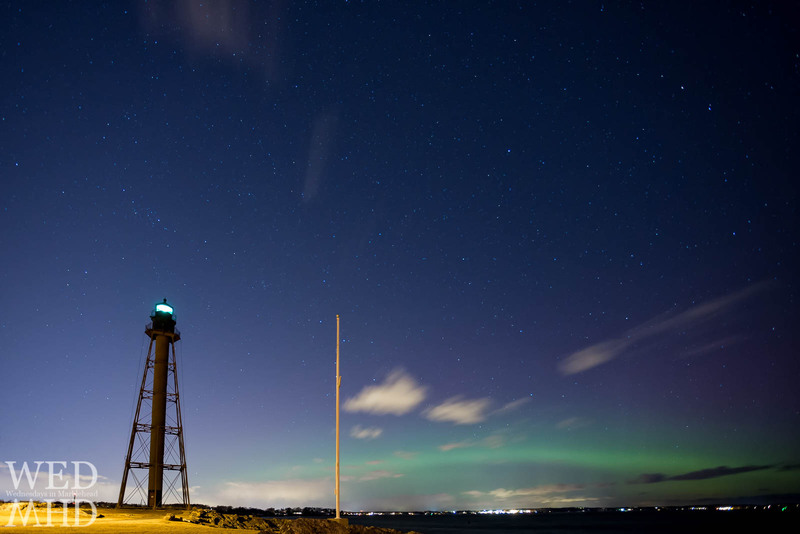 On Tuesday, March 17, the aurora borealis appeared in the sky over Marblehead, Massachusetts. I shared another image from this outing earlier in the day with a mix of green glow and purple spikes from the incredible light display. This image was captured five minutes earlier and shows a much broader and deeper green glow. I corrected the distortion in the lighthouse as it did not affect the aurora over Marblehead as in the other one.